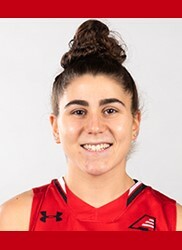 This week’s female athlete of the week goes to Lindsey Abed of the University of Hartford’s women’s basketball team. This should come as no surprise after her incredible performance against UMBC this past week. In just this one game alone, Abed was able to set two records one for the conference and one for the school with her 10 three-pointers. This helped her to tie a school record with her game-high 36 points scored. This makes her only the eighth player in the entire program’s history to score over 30 points in a single game. With all of this success, Abed came just short of a double-double, being one point away. Abed will continue to help the Hawks win games throughout their amazing season as they rest during their bye week.